Ear Cropping, Tail Docking & Declawing Ethical? In my dog training Los Angeles, and South Florida consultations I see a lot of unsavory things regarding animal exploitation. Why do we mutilate and disfigure animals for our pleasure? For this article, I will be focusing primarily on Canis lupus familiaris. When I see a dog’s ears cropped or tail docked, I cringe every time. To think that someone put this dog through unnecessary pain and trauma in the name of “tradition” or for humans’ vanity and ego is unfathomably unconscionable to me. When recently speaking with a dog breeder who prides themselves on “proper breeding,” I asked them why are your puppies ears docked in all of the photos? To which her response was “well I show my dogs.” Her response was all too common in society today. To do something mindlessly and unconsciously like a lemming because of “tradition” or because of the “standard” is nonsensical, idiotic and mind-blowingly unconscious. Tradition is the standard until people wake up and realize, it goes against love, care and their morals and ethics. Eventually asking oneself, “What the heck am I doing and why?” If we think back in recent history (and sadly still ongoing), slavery was “traditional.” And perhaps not many exploiters questioned these unfair practices at the time. Sometimes it’s hard to see the picture when you are inside the frame, but ignorance is not an excuse to abuse others. I got involved in animal welfare, teaching, coaching, therapy work, training, behavior, psychology and helping dogs and families because of my love for all animals (human and nonhuman) not to win titles at the expense of others. Not to exploit others, stress others, or use or abuse others. Teachers and caring individuals want to provide optimal care for their students. Not to cause or add undue stress, pain, suffering or complications. To think this is done to “conform” to an aesthetic or look of a dog makes one question what and why something is being practiced and why would anyone continue this cycle of abuse. The dog industry needs to reflect on and reevaluate their individual and collective morals and ethics surrounding any practice or tradition that does not serve the very animal we are caring for. Requiring the removal of the human animal ego from the equation and selflessly providing care for others welfare. In another instance, a couple mentioned they read (on the internet) how their newly bought pedigree dog had the potential to have painful ear infections. After reading more non-scientific, hypothetical constructs and myths, and consulting their veterinarian, the vet said it would be a good idea. Interesting enough, ear cropping and tail docking is a high margin business, and the struggling veterinarian industry too often uses unethical, immoral elective surgeries strictly for profit. This conflict of interest is glaring and must be investigated by a caring, responsible pet parent. This is also akin to taking aspirin just in case you get a headache in the future. It’s just plain stupid. Why did you get a dog? Is dog ownership a right or a privilege? We talked extensively about this in a previous article so I won’t go into depth here. Tail “docking” and ear “cropping” are almost always not done for medical, safety or therapeutic reasons, but are solely a cosmetic and elective procedure. 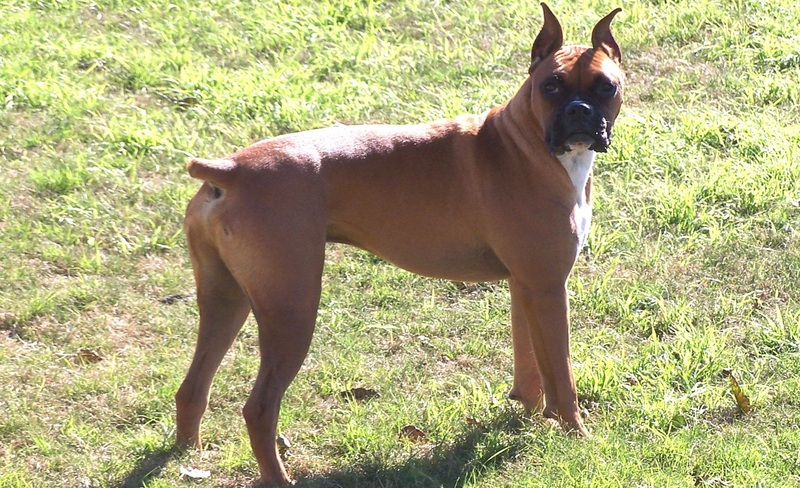 Many other countries ban the procedures and penalize show dogs with docked tails or cropped ears. Also, the procedures are normally done without anesthesia and are very painful that may cause health issues and/or behavior manifestations later in life. Unless injury or present disease is located in the tail or ears that can not be cured otherwise, tail docking and ear cropping are absolutely unnecessary and cruel as agreed upon by the American Veterinary Medical Association, AVMA and countless other medical and professional organizations. It is time to stop rewarding ignorant behavior, stop appeasing the masses for immoral reasons and for humanity to awaken. Morality is not abdicated for monetary gain, although that is what societies actions would lead you to believe. If your Veterinarian would feed the dysfunction that is the unenlightened human brain, for the sole purpose of monetary gain, why are you still using that doctor? Personally, I would not support a doctor or breeder that declaws, de-barks, crops ears, docks tails…etc. Principles are more than mere words. It is the backbone and very life-force that justifies one’s very existence. Without them, one is dead and useless. Be very careful and conscious about what you do, vote for, how you spend your money and how you choose to live your life as karma is a force to be reckoned with. First, do no harm. UPDATE: Science has highlighted another reason to ban dog tail docking detailed in my new article, the inability to communicate effectively with other conspecifics.